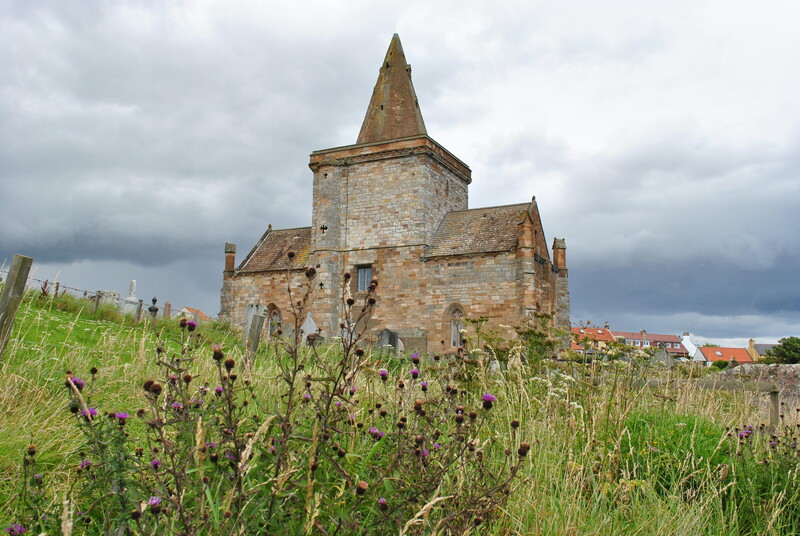 St Monans is probably the church in Scotland which is closest to the sea. So ist the surrounding graveyard. A dramatic setting for a church built in 14th century. Dramatic is a term often encountered here. 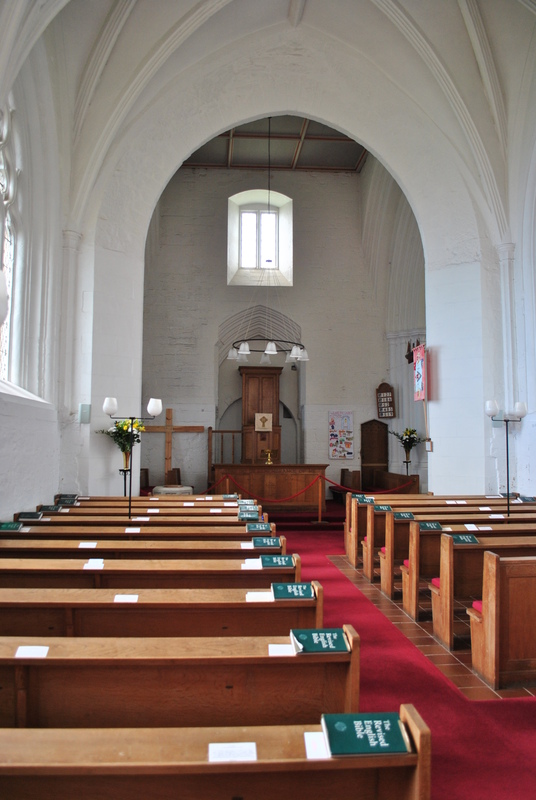 The church, named after Saint Monan, an Irish monk who had come here in 9th century and was slain by invading Danes. A Viking attack A.D. 875. He must have seen them coming, he must have heard of he horror they spread. He must have seen death approaching. Terror coming in from the sea. Terror and death. This graveyard tells tales of more tragic deaths. All connected to the sea. It is close. The salty air lingers between the gravestones. Seagulls sail above, crying loud. Waves wash the rock below. St Monans tells the story of a Scottish King. David II, wounded by two arrows at the Battle of St Neville’s Cross in 1346. There are two versions of what follows. 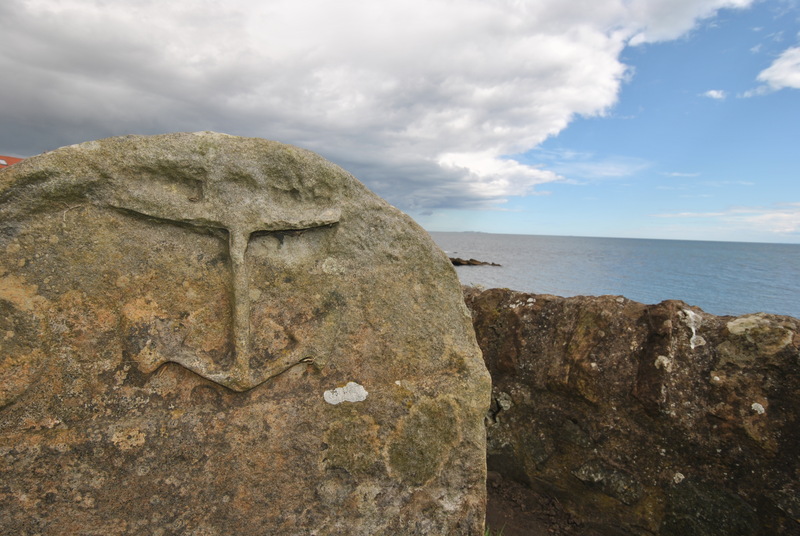 One story claims the King was saved by a pilgrimage to the shrine of St Monan nearby. Therefor he rebuilt the church. A church for a life. The other story tells another tale of the sea. King David II and his Queen sailed to Ardcross and a monstrous storm rose, threatening to sink their vessel. 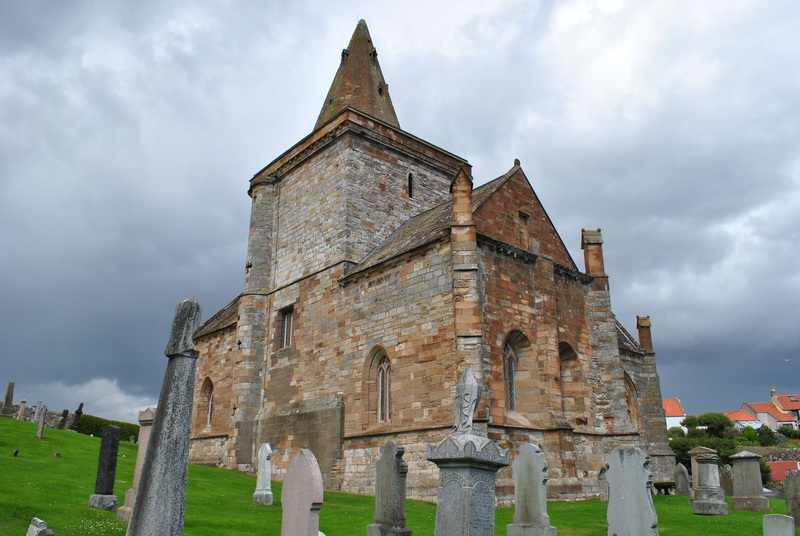 The King prayed and made a vow to build a church to the memory of St Monan. They survived and the church was rebuilt. A thank-offering of a king. Again, a church for a life. 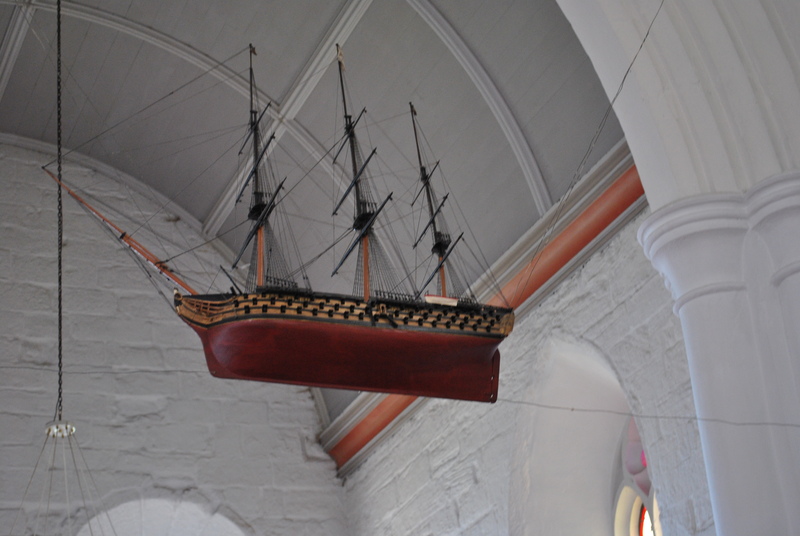 The church today is plain and beautiful in its simplicity, seafaring symbols speak of the close proximity of the sea and the massive impact it has had on generations of Christians coming here for worship. The sea was always present. Nowhere is it closer. 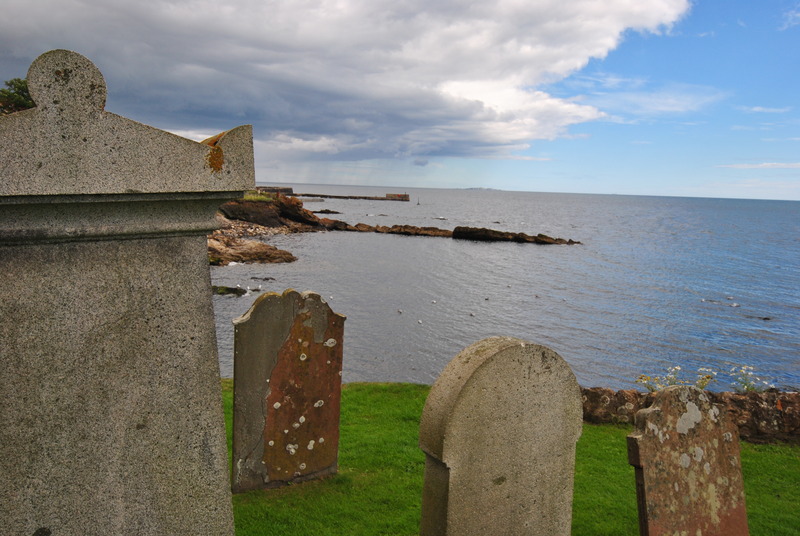 The graves outside lie cold and grey under a blue Fife sky. In November 1875, at the end of the herring fishing season, a hurricane hit the East Neuk of Fife. Five fishing boats were lost. With all their crew. 35 seamen altogether. Some were found drowned in their cabins, others lost at sea. Most came from the village of St. Monans. A terrible loss for the community, a loss, never to be forgotten here, on the rock by the sea.